Robert M. Carey, MD, MACP, FRCPI, FAHA, Dean, Emeritus, and Professor of Medicine, served as Co-chair of the American College of Cardiology/American Heart Association Writing Committee on the Prevention, Detection, Evaluation and Management of High Blood Pressure in Adults, which in 2018 reported the first comprehensive clinical practice guideline for hypertension since 2003. The 2018 report redefined hypertension, reduced the threshold for initiation of antihypertensive drug therapy to ≥130/80 mmHg for high risk individuals, and lowered the blood pressure goal of treatment to <130/80 mmHg for most adults. The initial report achieved a media reach of approximately 4.5 billion audience, media impressions and views with over 2,000 media placements and 650 million social media encounters. Articles in virtually all major newspapers included The New York Times (front page), Washington Post and Wall Street Journal. The published report received over 1300 citations and was accompanied by 10 guideline-related articles co-authored by Carey. Carey chaired the American Heart Association Scientific Statement Writing Committee on Resistant Hypertension, which published its report in 2018. The Scientific Statement lowered the blood pressure threshold for defining resistant hypertension to ≥ 130/80 mmHg in individuals on 3 or more antihypertensive medications. The report also provided a new approach to the pharmacological management of resistant hypertension. In a separate report, Carey and colleagues demonstrated that the prevalence of resistant hypertension increased by only about 2% using the new more stringent definition Carey also is a member of the American Heart Association Scientific Statement Writing Committee on Blood Pressure Measurement which will report its findings in early 2019. Carey currently chairs the American Heart Association Hypertension Accreditation Work Group and is a member of its Hospital Accreditation Science and Ambulatory Quality Improvement Committees. 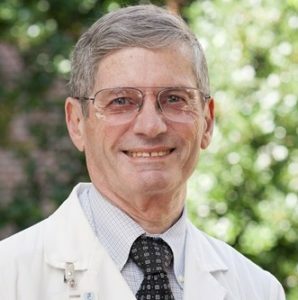 He also serves on the Board of Directors of the Consortium for Southeastern Hypertension Control and the Virginia Academy of Science, Engineering and Medicine. Carey continues to provide Principal Investigator/Project Director leadership for two NIH grants: (1) renal AT2 receptors in the control of blood pressure and kidney function and (2) the molecular determinants of salt-sensitivity of blood pressure in humans. He was selected by the editor of the Journal of the American College of Cardiology to be the lead author of the cardiovascular disease prevention series review on hypertension. Carey is one of the Masters of the American College of Physicians selected in 2018 to become a Fellow of the Royal College of Physicians – London. 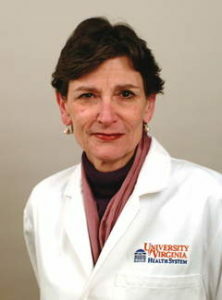 Mary Lee Vance, MD, has been selected to receive the Pituitary Society’s Lifetime Achievement Award in recognition of her outstanding contributions and leadership in pituitary medicine. She will be honored at the 16th International Pituitary Congress which will be held March 20-22, 2019 in New Orleans, Louisiana. McCartney CR, Marshall JC. Neuroendocrinology of Reproduction . In Yen and Jaffee’s Reproductive Endocrinology and Fertility 8th Ed, Eds. J. Strauss, K. Barbieri. Chapter 1, p. 1- 24 , Elsevier (Saunders) Philadelphia. 2018. Errazuiz, Dube, Slama, Visentin, O’Connor, Cobelli, Das, Basu, Kremers, Port, and Basu. JCEM paper, Randomized Controlled Trial of a MUFA or Fiber-Rich Diet on Hepatic Fat in Prediabetes, was chosen for the Endocrine Society Thematic Issue on Diabetes.